Motorola has been a subject of the limelight due to its recent releases of Moto E and G. This year at IFA 2018, it came through with a new Android One lineup called the Motorola one and Motorola One Power. It is the company’s first new range of phones in many years and in terms of price and performance, they can pack quite the punch. 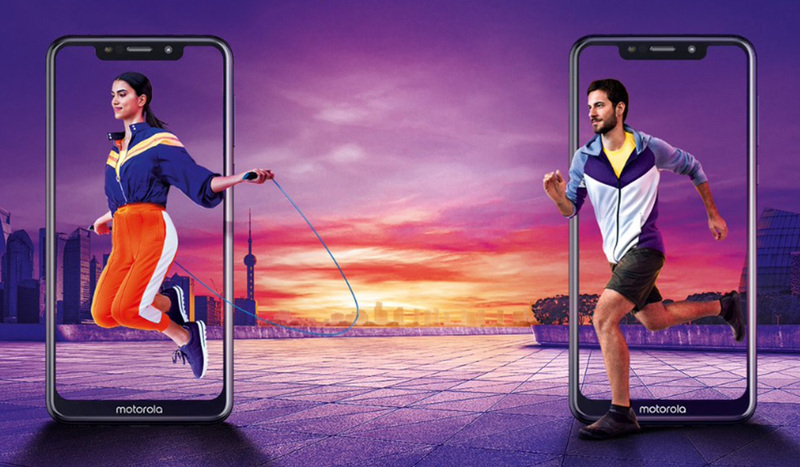 The difference between the two phones is that Motorola One has a 5.9-inch HD+ ‘Max Vision’ display with an aspect ratio of 19:9. They went on to further point out how the extra screen real estate will be useful to each and all of its users. According to the company, it’s ideal size helps to record 4K video while only utilizing one hand in the process. Additionally, that extra screen helps to allow the user to carry out tasks in split screen and others. Moving on, the camera has a 13MP sensor at the top left back corner with a dual sensor featuring several different shooting modes and it is paired with a front camera with a maximum image capturing resolution of 8MP. The notch is wide enough to replicate the iPhone X’s design and the camera only helps the cause, but its wide enough to fit in the name ‘Motorola’, so that means there is a noticeable chin at the bottom. The advantage of Android One is that there are no extra apps, with both phones running Android 8.1 Oreo, so you can expect that both devices are going to be running Android 9 Pie next year. The Motorola One Power has an octa-core Snapdragon 625 chipset and 4GB RAM that can provide a 6-hour usage in just 20 minutes of charge because of the Type USB-C port at the bottom and TurboPower technology. Thankfully, there’s a 3.5mm headphone jack present on this phone, as manufacturers continue to get rid of this port. This phone will set you back €299, or $348 USD. Comparative to the Motorola One, it doesn’t have a shiny finish, but it sports a fingerprint sensor at the back. It also holsters a Snapdragon 636 chipset and 64GB of storage with microSD card expansion. While the pricing details of the smartphone have not been detailed, you can rest assured that it is going to be more expensive than the One Power.